nyphonejacks: Yes I really am that busy. 57 runs, punched in. Yes I really am that busy. 57 runs, punched in. I ran a total of 57 runs at this location. 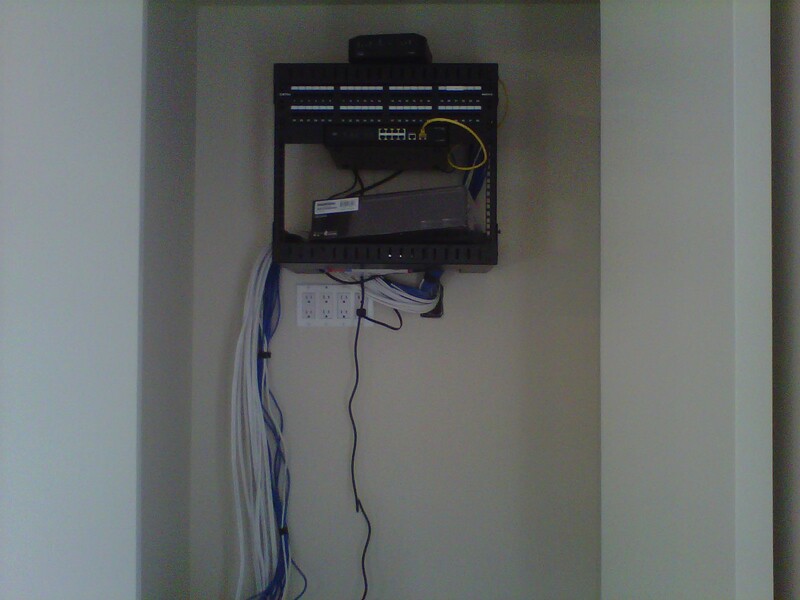 This included CAT5e runs, Siamese runs, a run to the yard for Verizon, a run to the yard for cable and runs for the access control / door phones. 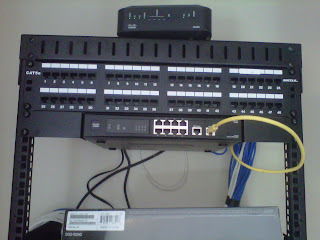 Pulling in all of the cabling was done during construction phase, when everything was just studded out. Unlike most jobs I had assistance pulling the cables. 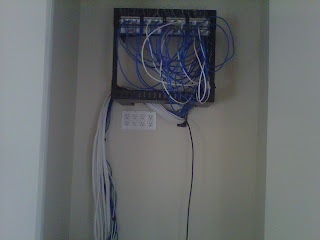 Installation of the cables took nearly a full day.It took another full day to cut in the 35 CAT5e jacks, and test them. I cut everything down myself, but for the last hour of testing and labeling I had help. Still need a weatherproof box for the outdoor CAT5e jack that the customer wanted. Also need to put in 2 double jacks in the floor for conference room tables (waiting for the flooring guy to finish so he does not ruin my wires). Also need to cut down the 3 jacks in the basement for the smart meters (basement smells like sewage and I refuse to go down there until something is done about the smell). Also still need to install door phones, and relays for access controls. Cameras and DVR are being installed by someone else. 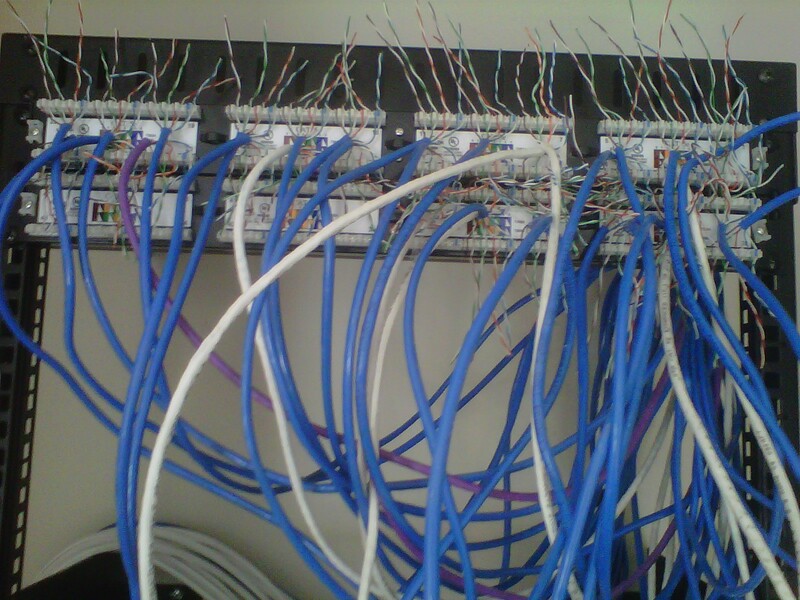 8 space rack mounted, 35 CAT5's ready to be punched into 48 port panel. 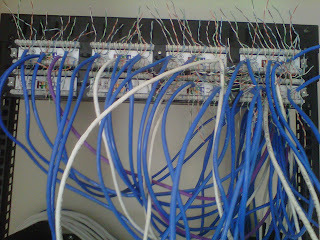 35 CAT5's ready to be punched down into 48 port panel. 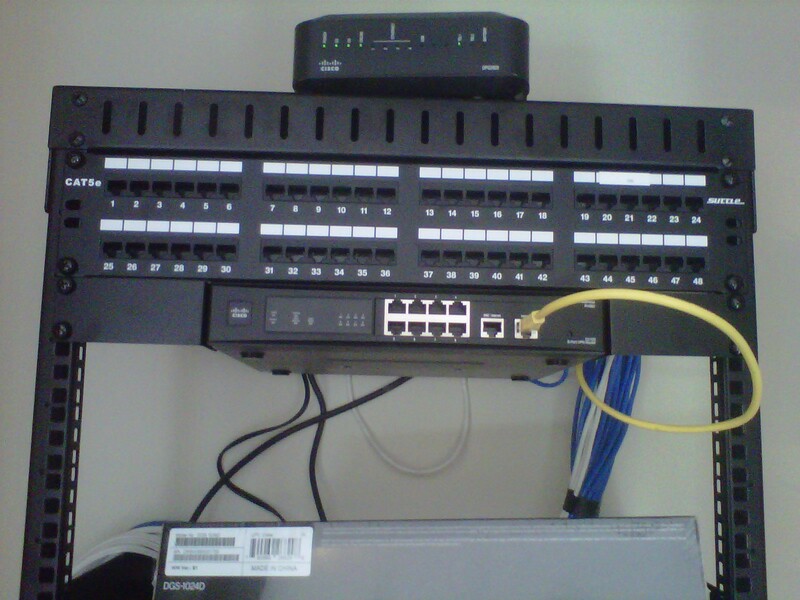 Cable modem installed on top of rack. 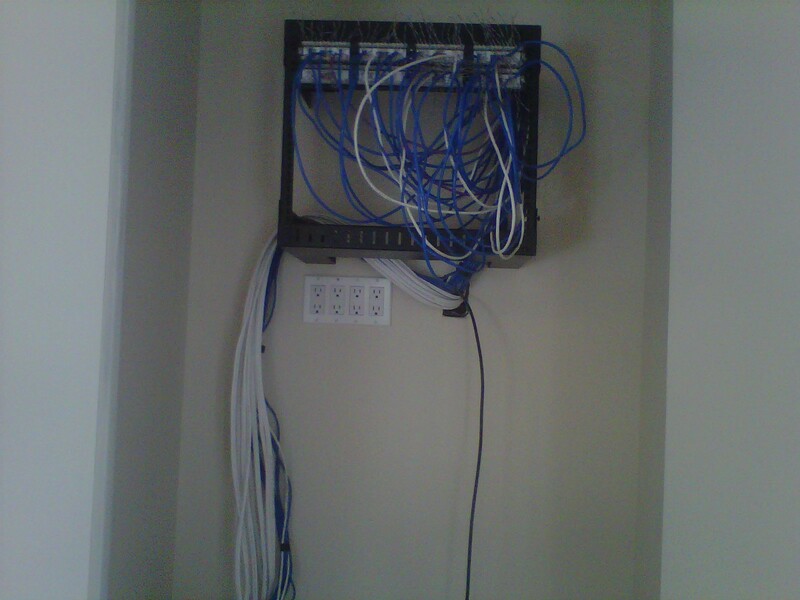 Cables hanging down to left are 11 access control/door phone wires. 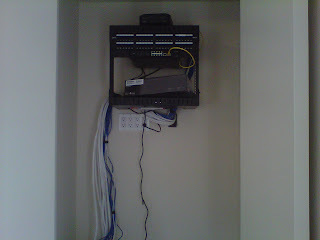 The black one down the middle is for the cable modem, has been mounted since photographed.